Print your coupon for $2.00 off any Imagine soup, which will get you a cheap or near-free Imagine item. 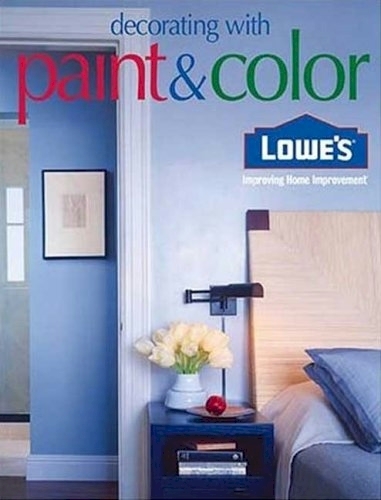 Amazon has got Lowe's Decorating with Paint and Color in paperback for $0.37 with free Prime/SuperSaver shipping. I love full-color design books; they give me great ideas for decorating. 1SaleADay has got the Cuisinart SmartStick Immersion Hand Blender with the 2-cup plastic beaker for $27.99 with free shipping, today, 5/31/13 only. I have confirmed with my contact at 1SaleADay that this model is BRAND NEW and not refurbished. This is model #CSB-76MR that is going for $36.38 on Amazon. Immersion hand blender equipped with powerful 200-watt motor. Protective guard helps prevent splattering. Simple push-button controls and lightweight design for one-handed operation. 2-cup plastic beaker included (microwave-safe). 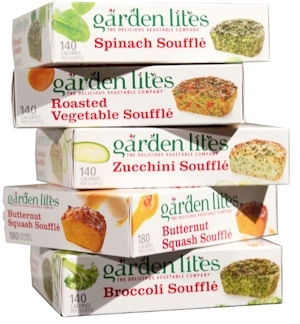 This popular coupon has reset, so even if you've printed it before, go ahead and print it again: $0.75 off one box of Garden Lites souffles. I love these kosher, healthy, delicious, gluten-free souffles. I used to get these at Whole Foods for $3.99 a pop, but now they are sold at Target and Walmart for $2.69, and starting again in June, they'll be sold in bulk at Costco. 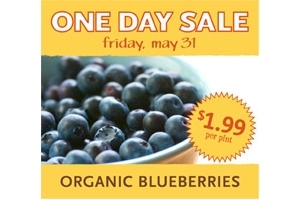 Just a reminder that today, 5/31/13, Whole Foods is having a nationwide sale on organic blueberries for $1.99 per pint! I'll be buying a ton and freezing about half of them. 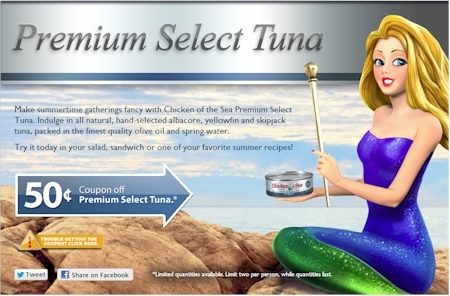 Print your $0.50 off one Chicken of the Sea Premium Select tuna coupon here. Try to use it at a store that doubles coupons under a dollar (like King Soopers in Denver) to maximize your savings. Kroger affiliate shoppers (like King Soopers here in Denver) get a free dozen Simple Truth eggs when you you purchase any three select Kashi or Silk items from your local Kroger affiliate store and use your shopper's loyalty card. The dates that this offer is valid in your community, and the list of eligible Kashi and Silk items are here. Simple Truth is Kroger's national store brand for organic and natural foods. Buying Raise.com gift cards has become an important layer of saving money for me. First of all, even without any promo codes at all, all of their gift cards are discounted. That means that when I pay with a gift card from Raise.com, I'm automatically saving money, even if I never clip another coupon or use another promo code. Now, parenthetically, you might think that I'm losing out on credit card points by paying for things with gift cards, but I'm not, because I'll pay for the gift cards that I buy on Raise.com with my credit card, so I still get my credit card rewards. When Raise.com stacks the deck by offering a promo code discount on top of their already discounted cards, I pay attention. This weekend, when you enter promo code TAKE5, you can receive an additional 5% off gift cards from CVS.com, Regal Cinemas, and Hancock Fabrics. Of these vendors, the two that interest me the most are CVS and Regal Cinemas because I buy stuff at CVS and attend Regal Cinemas all the time. Raise.com has got $25.00 Regal gift cards for $23.00, a savings of 8%. With the promo code TAKE 5, you'll get an additional 5% of that $23.00 off, or another $1.15, which drops the price on those $25.00 gift cards to $21.85. Let's do a little math. Say I buy two of those $25.00 gift cards, or $50 in gift cards, and pay $43.70. Right away, I've saved myself $6.30 (almost 13% of that $50.00), and I'm also going to save $2.00 on every ticket with my coupon. So I'm going to be able to buy 6 tickets at $8.00 each with those gift cards ($48.00) and still have $2.00 left over in the balance. If I bought those 6 tickets without doing anything, that would cost me $60.00 (at $10.00 per ticket). Using the gift cards and coupons, I'll have paid $43.70 and still have $2.00 left over. That's almost like getting two tickets for free. That's what I mean by layering on the savings. Now let's look at the CVS gift cards. We don't have any CVS stores in Denver, but I use them frequently when I go to Omaha (my husband travels there on business) or New York, where my family lives. Between the numerous coupons, specials and ExtraBucks rewards, I do very well at CVS. CVS gift cards are currently discounted by 6% on Raise and with the 5% promo code, your final discount will be around 11%. Imagine supplementing all of those discounts and ExtraBucks at CVS by an additional 11% discount right out of the gate! And don't forget, if you're a brand new user to Raise.com, you can get $5 off your first $75 gift card purchase, when you click through this link and enter promo code RAISE75AF at checkout. That's like getting an additional 7% off your purchase before you even buy anything, on top of the regular Raise gift card discounts. The $75 minimum doesn't have to be on one gift card; it can be spread over several gift cards in one purchase. You can only use one promo code at a time, so while this discount is higher than 5%, you also need to buy a minimum of $75 in gift cards, so figure out which one will work best for you right now. Paying for stuff with discounted gift cards just makes tons of frugal sense and is my latest item on a list of no-brainer, low-effort ways to save money. I've finally decided to organize my computing life. I'm putting all of my mp3 music files into cloud storage. Cloud storage is a system where I can store my files remotely online and access them securely over the Internet. This way, I'll free up my hard drive, the countless thumb drives I own, and my backup drive as well, and I'll be able to access all of my music files when I'm traveling, as long as I can log into any wifi connection. And music files don't contain sensitive or personal information, so I'm not really concerned about security. You can email a file from your Copy.com drive if you like, or you can share it securely with anyone you choose. There are tons of free cloud storage offers out there, but the one that keeps popping up as one of the best is on Copy.com. They will give you 15gb of free storage automatically, but when you sign up through someone else's referral link, you'll get an additional 5gb. If you tweet about their service on Twitter, they'll throw in an additional 2gb. (Note that you can tweet about their service, delete the tweet and disconnect your accounts immediately after they give you the extra 2gb, if you so choose.) So that's 22gb that you can get IMMEDIATELY upon signup. Then, if you refer someone, you can get an additional 5gb. One of the nicest things about this service is that there is no restriction on file size, so if you want to upload a long and huge video, you can, as long as it doesn't exceed the amount of space that you have. I'm going to upload my wedding video. So, let's get started. Here's my referral link. If you sign up through my referral link, you'll be able to get 22gb instead of 17gb if you sign up on your own. Feel free to post your own referral links on the Daily Cheapskate Facebook page after you've signed up. I really like the Copy.com service. It feels good to get those enormous music files out of my hard drives and free up some space. Ich. I hate bugs. Print your coupon for $1.00 off any Raid product. Get 15% off your in-store purchase with this printable Petsmart coupon here, good in-store from 6/4/13-6/9/13. Remember that Petco accepts Petsmart coupons, so you can use it there as well. 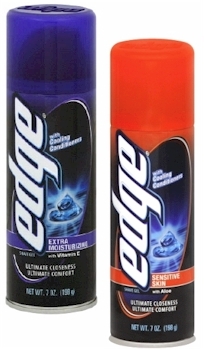 Click here to enter to win a buy-one-get-one free coupon for Edge Shaving Gel. I think the "enter to win" part is just for fun, as I'm pretty sure everyone gets a coupon (I did). 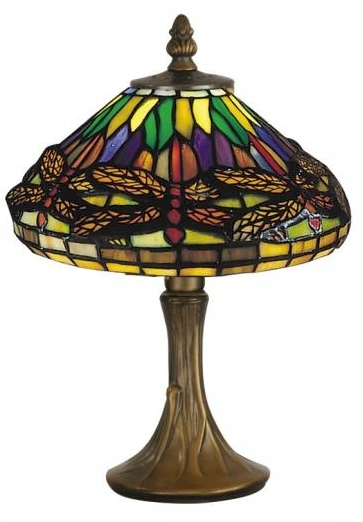 Home Decorators Outlet has got this Tiffany glass reproduction table lamp (originally $109) on sale for $87.00 with free shipping, but when you enter promo code 7268612 at checkout, that price drops by $10.00 to $77.00 shipped. That's a 30% total markdown. This elegant lamp with an antique brass finish is 11" x 8" and made up of over 200 pieces of art glass. Beautiful. 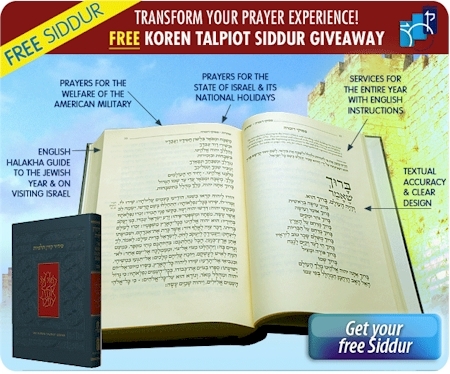 Koren Publishing is trying to build their email list and new subscribers will receive a FREE Koren Talpiot siddur! Click here, fill out the form and request your free siddur.